I’ve been on a big nail polish kick recently and stumbled across these gems from Bonita Salon just a few weeks ago. 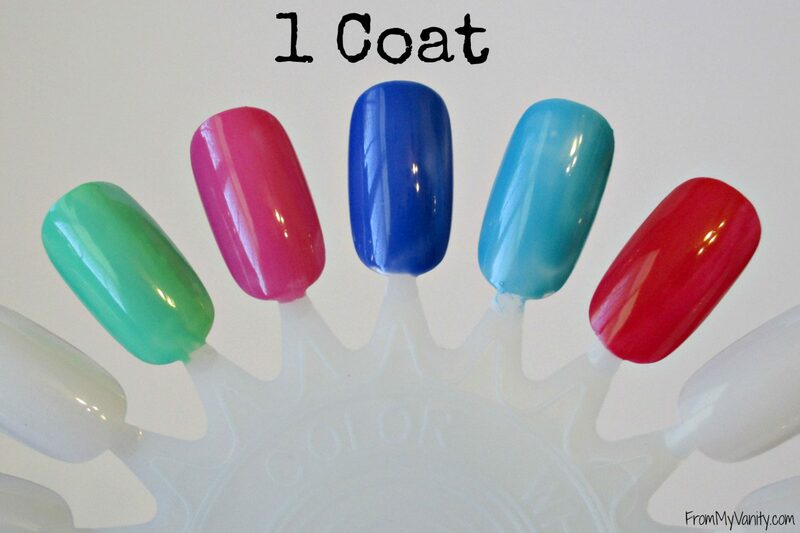 If you like bright, opaque polishes, you’ll want to check out these Bonita Gel-On polishes! I picked these up at Rite-Aid about a month ago and have been continually impressed with them ever since. I honestly can’t find any information on these polishes — either on their website or at Rite-Aid (which is where I found these polishes). Totally weird, right?! But, maybe they’re really, really new and more information will surface in the coming weeks. If so, I will update these post to let you all know! All I can say for right now is, run to your local Rite-Aid store and see if you can find a display with these polishes in their new releases section! I feel like a lot of drugstore companies are coming out with regular polishes that ‘claim’ to act like a regular old polish, but look and perform like a gel polish. So they’re supposed to be super shiny/glossy and last longer than regular polishes. 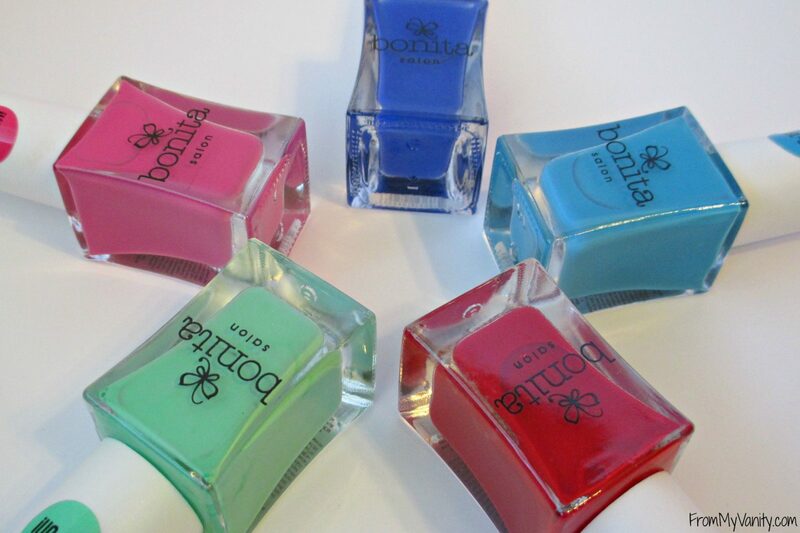 I’ve tried several of them, and none have ever even come close to lasting as long or being as shiny as a gel manicure…..until I discovered these Bonita Gel-On polishes! I picked up 5 of the 6 polishes that were available (Lovers & Friends just wasn’t my color). All the polishes look really bright and vivid from just looking at the bottles. That Lovers & Friends color I would even classify as neon. I was crossing my fingers, hoping that the results I would get would be at least somewhat close to the color I could see in the bottle. Here is just one coat of polish applied to these nail wheels (which are really handy to try out new polishes on!). As you can see, while some of them show the nail underneath more than others, you can almost get away with just one coat. And look at how bright the colors are! It’s awesome! I’ve tried many Sally Hansen polishes that are so thin and take more than three coats to get the color you see in the bottle. Ain’t nobody got time for that, right?! And here’s a manicure I did using the color Blue Water Lily. (Sorry for the bad lighting!) Do I need to say anything else to convince you to try these polishes out? They’re so affordable and the results you get with it are amazing! I’ve never tried anything from this brand before, but now they’ve intrigued me! 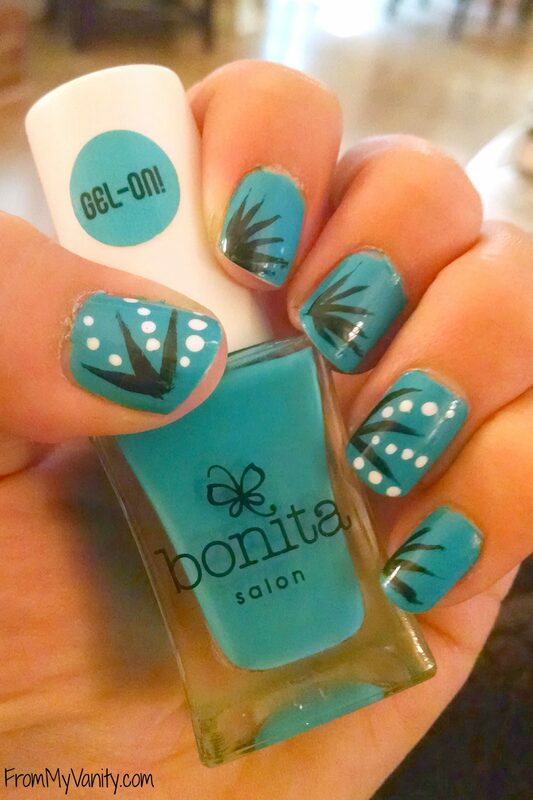 The Bonita Gel-On polishes were a big win in my book! 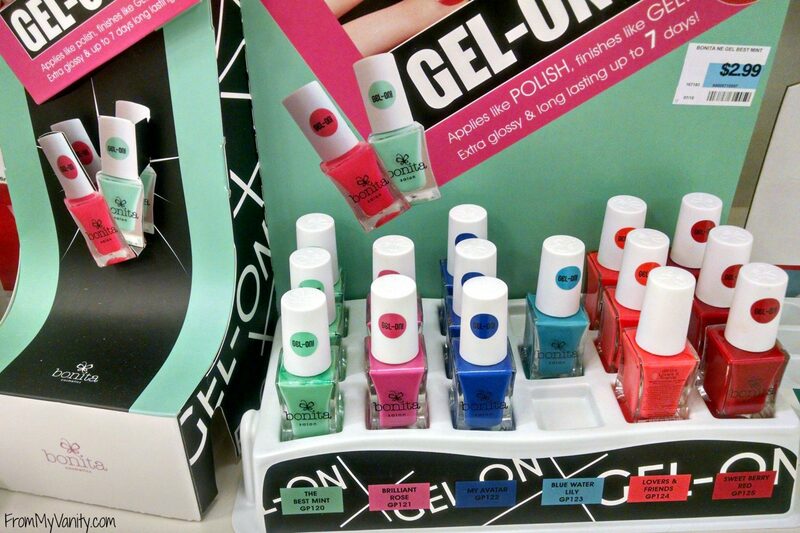 Have you seen these Bonita Gel-On polishes at your local Rite-Aid? Have you given any a try? Share what you think of them in the comments below! The products mentioned above were purchased with my own personal funds. I was not compensated in any way for writing this post. All thoughts are 100% my own. I am totally new to this brand as well, but I am so blown away with these gel-ons….I need to try more! I loved each of them! Lovely colors! wow those are gorgeous polishes! And what a fabulous price too! Im very impressed!! I know, you can’t complain about the price — especially with how good the quality is! 🙂 And the day I bought these, RiteAid was having a sale on them. Oh yeah! These shades are simply gorgeous, I love that dark blue! Frankie, I know, isn’t it beautiful! Really pretty choice for this fall/winter season!